Kevin Huerter Insert - Startups 18 Hawks ?? Omari Spellman Insert - Startups 31 Hawks ?? Trae Young Insert - Downtown 12 Hawks ?? Trae Young Insert - Startups 5 Hawks ?? Vince Carter Insert - Unbreakables 32 Hawks ?? Jayson Tatum Insert - Unbreakables 5 Celtics ?? Kyrie Irving Insert - Downtown 3 Celtics ?? Kyrie Irving Insert - Unbreakables 6 Celtics ?? Robert Williams III Insert - Startups 26 Celtics ?? Dzanan Musa Insert - Startups 28 Nets ?? Rodions Kurucs Insert - Startups 36 Nets ?? Devonte' Graham Insert - Startups 33 Hornets ?? Kemba Walker Insert - Unbreakables 10 Hornets ?? Chandler Hutchison Insert - Startups 21 Bulls ?? Lauri Markkanen Insert - Unbreakables 40 Bulls ?? Wendell Carter Jr. Insert - Downtown 14 Bulls ?? Wendell Carter Jr. Insert - Startups 7 Bulls ?? Zach LaVine Insert - Unbreakables 4 Bulls ?? Collin Sexton Insert - Downtown 16 Cavaliers ?? Collin Sexton Insert - Startups 8 Cavaliers ?? Dennis Smith Jr. Insert - Unbreakables 19 Mavericks ?? Dirk Nowitzki Insert - Unbreakables 18 Mavericks ?? Jalen Brunson Insert - Startups 32 Mavericks ?? 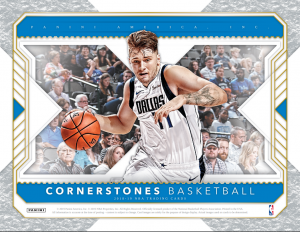 Luka Doncic Insert - Downtown 11 Mavericks ?? Luka Doncic Insert - Startups 3 Mavericks ?? Jamal Murray Insert - Unbreakables 22 Nuggets ?? Michael Porter Jr. Insert - Startups 13 Nuggets ?? Nikola Jokic Insert - Unbreakables 21 Nuggets ?? Andre Drummond Insert - Unbreakables 34 Pistons ?? Blake Griffin Insert - Unbreakables 25 Pistons ?? Bruce Brown Insert - Startups 37 Pistons ?? Jacob Evans III Insert - Startups 27 Warriors ?? Kevin Durant Insert - Downtown 4 Warriors ?? Kevin Durant Insert - Unbreakables 30 Warriors ?? Stephen Curry Insert - Downtown 1 Warriors ?? Stephen Curry Insert - Unbreakables 20 Warriors ?? Chris Paul Insert - Downtown 6 Rockets ?? Chris Paul Insert - Unbreakables 36 Rockets ?? James Harden Insert - Unbreakables 27 Rockets ?? Aaron Holiday Insert - Startups 22 Pacers ?? Victor Oladipo Insert - Unbreakables 23 Pacers ?? Jerome Robinson Insert - Startups 12 Clippers ?? Shai Gilgeous-Alexander Insert - Startups 11 Clippers ?? Tobias Harris Insert - Unbreakables 7 Clippers ?? Brandon Ingram Insert - Unbreakables 17 Lakers ?? Kobe Bryant Insert - Downtown 20 Lakers ?? LeBron James Insert - Downtown 2 Lakers ?? LeBron James Insert - Unbreakables 16 Lakers ?? Moritz Wagner Insert - Startups 24 Lakers ?? Svi Mykhailiuk Insert - Startups 40 Lakers ?? Jaren Jackson Jr. Insert - Downtown 15 Grizzlies ?? Jaren Jackson Jr. Insert - Startups 4 Grizzlies ?? Jevon Carter Insert - Startups 30 Grizzlies ?? Mike Conley Insert - Unbreakables 8 Grizzlies ?? Dwyane Wade Insert - Unbreakables 9 Heat ?? Donte DiVincenzo Insert - Startups 16 Bucks ?? Giannis Antetokounmpo Insert - Downtown 5 Bucks ?? Giannis Antetokounmpo Insert - Unbreakables 3 Bucks ?? Josh Okogie Insert - Startups 19 Timberwolves ?? Karl-Anthony Towns Insert - Unbreakables 29 Timberwolves ?? Kevin Garnett Insert - Downtown 17 Timberwolves ?? Anthony Davis Insert - Unbreakables 24 Pelicans ?? Jrue Holiday Insert - Unbreakables 33 Pelicans ?? Allonzo Trier Insert - Startups 39 Knicks ?? Enes Kanter Insert - Unbreakables 15 Knicks ?? Kevin Knox Insert - Downtown 13 Knicks ?? Kevin Knox Insert - Startups 9 Knicks ?? Mitchell Robinson Insert - Startups 34 Knicks ?? Hamidou Diallo Insert - Startups 38 Thunder ?? Paul George Insert - Unbreakables 39 Thunder ?? Russell Westbrook Insert - Downtown 8 Thunder ?? Russell Westbrook Insert - Unbreakables 28 Thunder ?? Mo Bamba Insert - Startups 6 Magic ?? Ben Simmons Insert - Downtown 7 76ers ?? Ben Simmons Insert - Unbreakables 2 76ers ?? Joel Embiid Insert - Unbreakables 1 76ers ?? Landry Shamet Insert - Startups 25 76ers ?? Zhaire Smith Insert - Startups 15 76ers ?? Charles Barkley Insert - Downtown 19 Suns ?? Deandre Ayton Insert - Downtown 10 Suns ?? Deandre Ayton Insert - Startups 1 Suns ?? Devin Booker Insert - Unbreakables 38 Suns ?? Elie Okobo Insert - Startups 29 Suns ?? Mikal Bridges Insert - Startups 10 Suns ?? Anfernee Simons Insert - Startups 23 Blazers ?? Gary Trent Jr. Insert - Startups 35 Blazers ?? Buddy Hield Insert - Unbreakables 14 Kings ?? De'Aaron Fox Insert - Unbreakables 13 Kings ?? 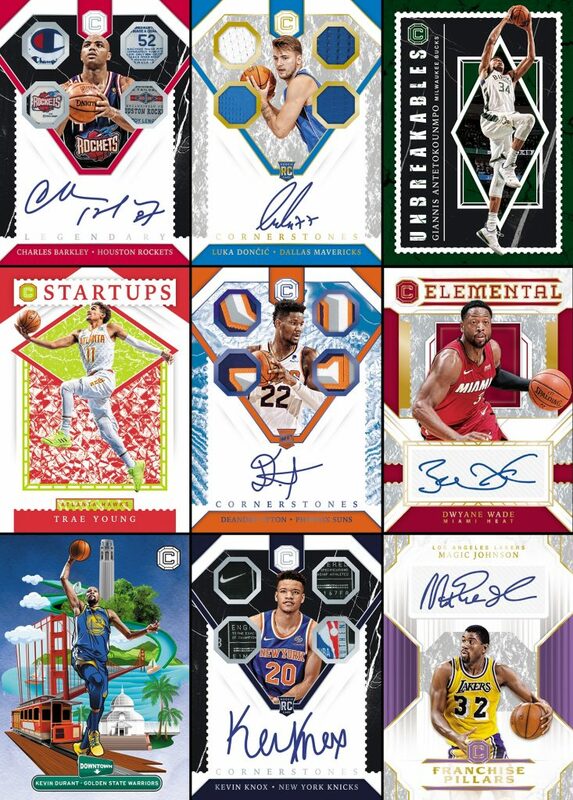 Marvin Bagley III Insert - Startups 2 Kings ?? DeMar DeRozan Insert - Unbreakables 37 Spurs ?? Lonnie Walker IV Insert - Startups 17 Spurs ?? Tim Duncan Insert - Downtown 18 Spurs ?? Kawhi Leonard Insert - Downtown 9 Raptors ?? Kawhi Leonard Insert - Unbreakables 26 Raptors ?? Kyle Lowry Insert - Unbreakables 35 Raptors ?? Donovan Mitchell Insert - Unbreakables 11 Jazz ?? Grayson Allen Insert - Startups 20 Jazz ?? Rudy Gobert Insert - Unbreakables 12 Jazz ?? John Wall Insert - Unbreakables 31 Wizards ?? Troy Brown Jr. Insert - Startups 14 Wizards ?? Dominique WilkinsJeremy LinJohn CollinsKevin HuerterMike BibbyOmari SpellmanTaurean PrinceTrae YoungTree RollinsTyronn LueVince CarterAl HorfordDee BrownDon ChaneyGordon HaywardJaylen BrownJayson TatumKevin McHaleKyrie IrvingLarry BirdRobert ParishRobert Williams IIISam JonesTerry RozierAllen CrabbeCaris LeVertD'Angelo RussellDeMarre CarrollDzanan MusaEd DavisJarrett AllenKenny AndersonKenyon MartinPaul PierceRodions KurucsRondae Hollis-JeffersonCody ZellerDevonte' GrahamGlen RiceJeremy LambKemba WalkerMichael Kidd-GilchristMuggsy BoguesNicolas BatumTony ParkerBobby PortisChandler HutchisonDennis RodmanHorace GrantJabari ParkerLauri MarkkanenToni KukocWendell Carter Jr.Zach LaVineCollin SextonJoe SmithJordan ClarksonJR SmithKevin LoveLarry NanceMark PriceSteve KerrTristan ThompsonBrad DavisDeAndre JordanDennis Smith Jr.Dirk NowitzkiErick DampierHarrison BarnesJ.J. BareaJalen BrunsonJason KiddJim JacksonLuka DoncicMark AguirreShawn MarionWesley MatthewsDan IsselGary HarrisJamal MurrayJarred VanderbiltMarcus CambyMichael Porter Jr.Nikola JokicPaul MillsapTrey LylesAndre DrummondAntonio McDyessBlake GriffinBob LanierBruce BrownChauncey BillupsGrant HillHenry EllensonIsiah ThomasJoe DumarsJohn SalleyKelly TripuckaLuke KennardReggie JacksonRichard HamiltonRick MahornVinnie JohnsonChris MullinDraymond GreenJacob Evans IIIKevin DurantKlay ThompsonRick BarrySarunas MarciulionisShaun LivingstonStephen CurryCalvin MurphyCharles BarkleyChris PaulClint CapelaCuttino MobleyEric GordonGerald GreenJames HardenRudy TomjanovichAaron HolidayBojan BogdanovicDanny GrangerDarren CollisonDomantas SabonisHerb WilliamsMark JacksonMyles TurnerReggie MillerThaddeus YoungTJ LeafVictor OladipoAvery BradleyDanilo GallinariDanny ManningErnie DiGregorioJerome RobinsonLou WilliamsMontrezl HarrellShai Gilgeous-AlexanderTobias HarrisBrandon IngramDerek FisherDevean GeorgeJames WorthyKareem Abdul-JabbarKentavious Caldwell-PopeKobe BryantKyle KuzmaLeBron JamesLonzo BallMoritz WagnerNick Van ExelRick FoxRobert HorrySvi MykhailiukTyson ChandlerDillon BrooksGarrett TempleJaren Jackson Jr.Jevon CarterMarc GasolMike ConleyDion WaitersDwyane WadeGoran DragicHassan WhitesideJosh RichardsonRodney McGruderUdonis HaslemWayne EllingtonBrook LopezDonte DiVincenzoEric BledsoeGiannis AntetokounmpoJack SikmaKhris MiddletonMalcolm BrogdonQuinn BucknerRay AllenAndrew WigginsDario SaricDerrick RoseJeff TeagueJosh OkogieKarl-Anthony TownsKeita Bates-DiopKevin GarnettRobert CovingtonTom GugliottaTyus JonesWally SzczerbiakAnthony DavisElfrid PaytonE'Twaun MooreJrue HolidayJulius RandleNikola MiroticAllan HoustonAllonzo TrierBill CartwrightCharlie WardDamyean DotsonEnes KanterFrank NtilikinaKevin KnoxKristaps PorzingisLatrell SprewellMario HezonjaMitchell RobinsonTim Hardaway Jr.Trey BurkeWalt FrazierWillis ReedBrent BarryDennis SchroderHamidou DialloNate McMillanPaul GeorgeRaymond FeltonRussell WestbrookSteven AdamsVin BakerAaron GordonAnfernee HardawayD.J. AugustinEvan FournierHorace GrantMo BambaNick AndersonNikola VucevicScott SkilesTerrence RossAllen IversonBen SimmonsJimmy ButlerJJ RedickJoel EmbiidLandry ShametMarkelle FultzTheo RatliffWorld B. FreeZhaire SmithCharles BarkleyDeandre AytonDe'Anthony MeltonDevin BookerElie OkoboJosh JacksonKelly Oubre Jr.Kevin JohnsonMikal BridgesShaquille O'Neal Stephon MarburySteve NashT.J. WarrenWalter DavisAl-Farouq AminuAnfernee SimonsCJ McCollumClifford RobinsonDamian LillardGary Trent Jr.Jusuf NurkicLionel HollinsNik StauskasZach CollinsBuddy HieldChris WebberDe'Aaron FoxDoug ChristieIman ShumpertJustin JacksonMarvin Bagley IIINemanja BjelicaPeja StojakovicWillie Cauley-SteinArtis GilmoreBryn ForbesDavid RobinsonDeMar DeRozanGeorge GervinLaMarcus AldridgeLonnie Walker IVLouie DampierRudy GaySean ElliottStephen JacksonTim DuncanDanny GreenJerome WilliamsJonas ValanciunasKawhi LeonardKyle LowrySerge IbakaTracy McGradyBryon RussellDarrell GriffithDerrick FavorsDonovan MitchellGrayson AllenJae CrowderJoe InglesJohn StocktonKyle KorverMark EatonRicky RubioRudy GobertBradley BealElvin HayesJohn WallKelly Oubre Jr.Markieff MorrisOtto Porter Jr.Trevor ArizaTroy Brown Jr.